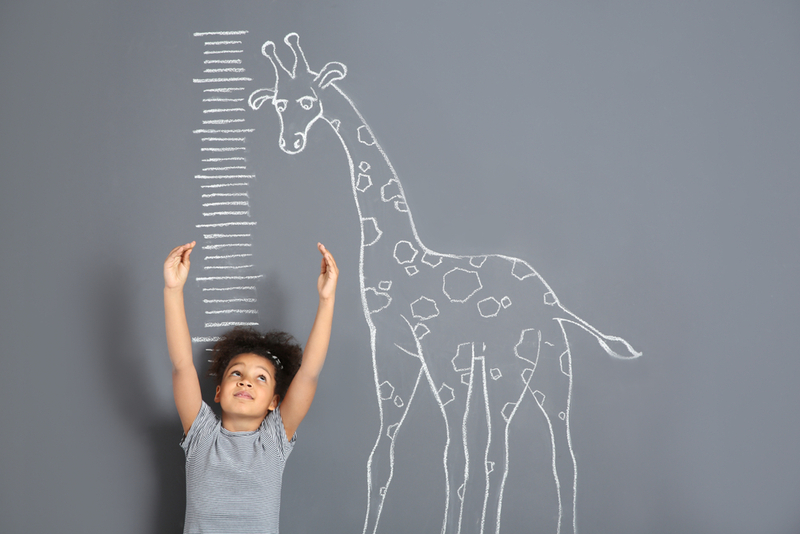 People grow taller the fastest during childhood and adolescent years. They can reach optimum height, if they maintain proper lifestyle…. People grow taller the fastest during childhood and adolescent years. They can reach optimum height, if they maintain proper lifestyle. It is true that genetics play a huge part in determining whether you can grow tall enough, but you can at least add an inch or two by doing the right technique. If you want to grow taller, you should get enough protein and calcium. Your bones are calcium-based, they won’t grow properly if you don’t get enough calcium from your food. Dairy sources like milk, yogurt and cheese should provide you with ample calcium. If you are concerned about fat intake, you should choose low-fat dairy products. Protein is needed to grow your muscles. Muscles don’t directly make you taller, but a combination of strong bones and muscles, will allow for proper physical structure. You will move and more powerfully, which allow you to become more active. Each day, you should have 5 to 10 servings of veggies and fruits. If you choose vegetables, try to get dark-colored ones, like spinach and broccoli. Lean meats are also great sources of iron, you should choose lean parts of chicken and turkey. They contain less saturated fats and high amount of protein, to ensure that muscles will grow along with bones. It’s a good idea to eat lean meat along with kidney beans and chick peas, because the dietary fiber will help the digestion process. Another way to ensure young people to grow taller safely and naturally, is by allowing them to stay active. Let children play outdoor and encourage young teenagers to participate in various sports activities that ensure that all bones move constantly. Body height is determined by the level of HGH or growth hormone in your body. It’s produced by the pituitary gland, located at the base of the brain. Studies show that when you are calm and relaxed, your pituitary gland produces more HGH. A good way to do feel relaxed, while staying active is by doing stretching and yoga regularly. Although hanging from monkey bar doesn’t literally stretch your body to become longer, it will help to improve that back and arm muscles. If you want to get taller, you may need to become more motivated. In this case, you should look for people who can exercise along with you. There are different exercises that can help to maintain healthy bones and muscles. Try to do weight training, skipping, swimming and running, you can remain active. Another essential thing to do is to get enough rest. You need to sleep well and get about 8 hours of sleep each day. When you are sleeping, you re-charge your batteries. In fact, good rest is enough to prevent many diseases, including heart attack, stroke and even some cancer types. If you sleep properly, you will repair tissues and bones. When you sleep, make sure that you maintain proper body posture, so you can grow taller, while having good body shape. Don’t sleep on hard and big pillow, which can ruin the alignment of your neck. If you sleep on soft and small pillow, your spinal cord can be properly aligned with the neck.